Must see in person to appreciate the condition of this Corvette! 6 speed manual! Factory Dual Mode Exhaust, Pioneer touch screen stereo with bluetooth, power drivers seat, removable top, automatic dual climate control, factory chrome wheels, leather interior(that's like new!). Paint and body is immaculate! *FINANCING AVAILABLE*TRADES WELCOME*RATES LOW AS 4.24%*PAYMENTS AT ONLY $399 PER MONTH WITH $0 DOWN* For more information or pictures visit our website at hillsidemotorsky.com or you can call or text Chris at 270-566-4191 or Sam at 270-866-1147. Thanks for looking! 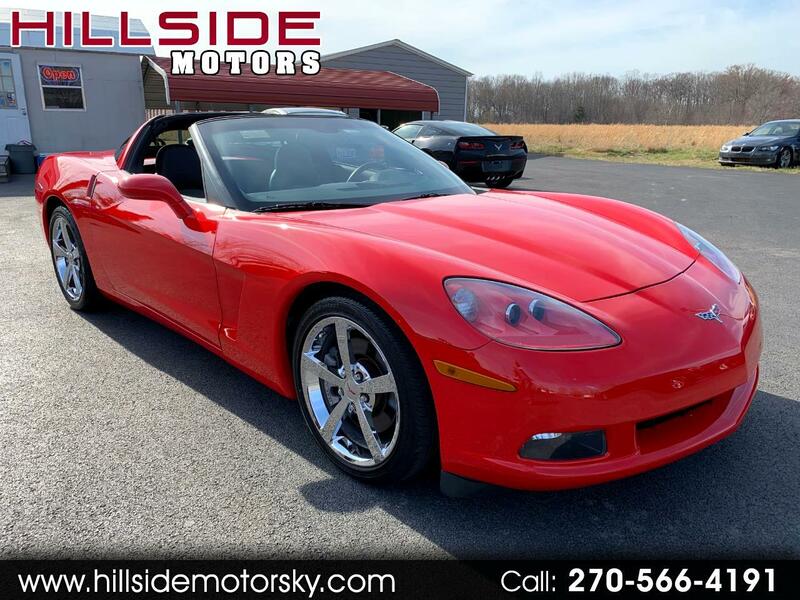 For more photos and info, please visit our website at www.hillsidemotorsky.com We proudly serve the Jamestown, Russell County, Lake Cumberland, and Russell Springs areas. We sell quality used cars and trucks at great prices - and people drive from Bowling Green, Lexington, and even Louisville when the best value for their dollar is important. Give us a call today - you will be glad you did!